Food Northwest provides a variety of resources to help food companies build and advance their own sustainability plans and policies. 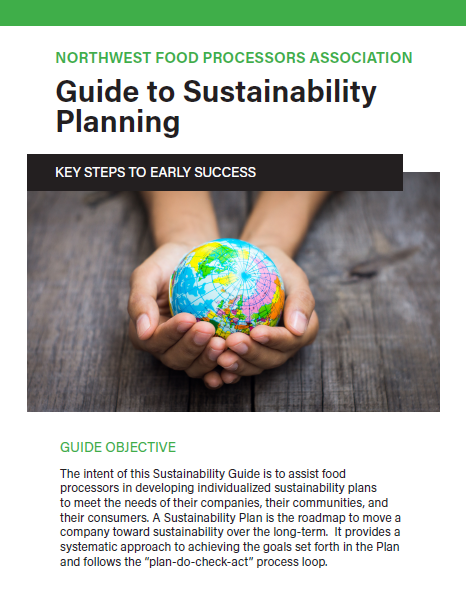 Download and use this Guide and its fillable forms to assist your company’s sustainability team in developing a sustainability vision and plan. 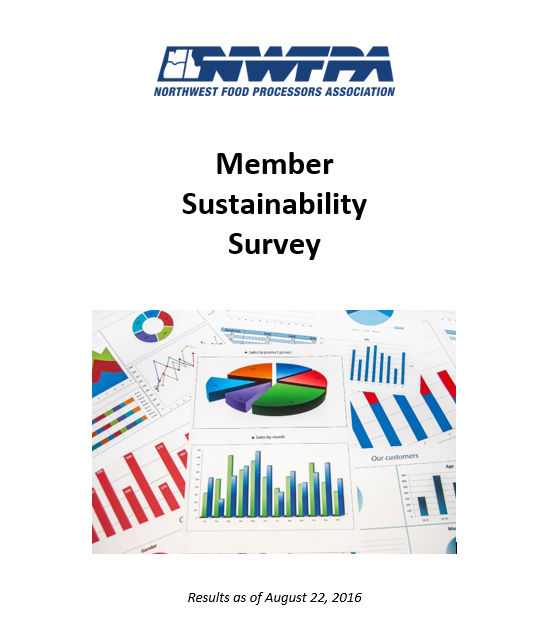 This survey reports on sustainability metrics, tracking and reporting employed by a sample of Food Northwest members. E3 is a federal and local technical assistance initiative that helps increase productivity, while making companies more competitive by reducing energy and environmental costs. Find out about the opportunities for energy, environmental and productivity assessments and how your company, the environment, and the community can profit. View the results of two Food Northwest/Impact Washington joint projects at food processing facilities.